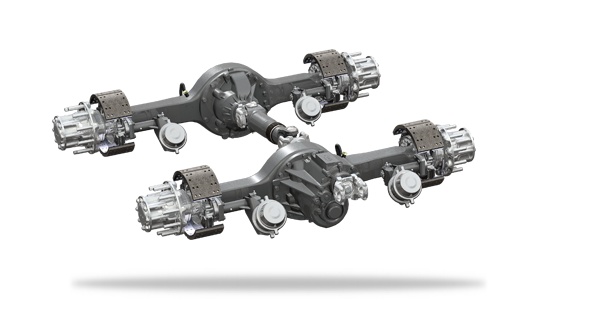 The Spicer® AdvanTEK® 40 Tandem Axle is the first axle for linehaul fleets to feature AdvanTEK® gearing, which was previously only available on axles for Class 1 through Class 5 vehicles. This innovative axle offers increased power density and efficiency in a smaller package than competing axles with features that include wider faced gearing to improve reliability and durability, as well as tapered roller bearings that enhance fuel economy by reducing friction. Several other advanced technologies work together to optimize the AdvanTEK® 40 axle’s overall design for lower noise, vibration, and harshness (NVH) levels.